Alistair Overeem is a battle-tested veteran of the sport of mixed martial arts and kickboxing. His career has spanned 21 years beginning back in 1997. To put that into perspective, when Alistair’s first pro kickboxing bout took place, Bill Clinton was being sworn in for his second term as President of the United States of America, the Hale-Bopp comet made its closest approach to Earth, and the UFC had been in business for a mere four years. He has reached the top of the mountain, winning championships in several organizations such as DREAM, Strikeforce, K-1/Dynamite, and has contended for the UFC Heavyweight Championship. This man has competed in so many organizations over the years, following his career can be a bit confusing. If you’ve watched his physical development, you’d swear the man was a shapeshifter. He has had his share of controversy for several reasons, not the least of which is his body, and the substances he has or hasn’t taken to achieve the Herculean physique he was at one-time sporting. Now referred to as “The Demolition Man,” the Reem has had many other nicknames throughout his career – both official and unofficial – that also represents his physique and fighting strategy at the time. That’s why you’ll sometimes see him referred to as UberReem or Econoreem – more on that later. Let’s begin by taking a look back at his evolution through the years, with a focus on his mixed martial arts career. Overeem began his MMA journey at the age of 19 and competed for organizations such as RINGS, M-1, It’s Showtime and 2 Hot 2 Handle. Alistair was known as kickboxer who strangely had mostly submissions wins. He had posted armbar, guillotine, and even keylock wins. Despite his success with the basic submissions, he also secured KO and TKO victories with knees and his powerful hands. Overeem was known as the “Demolition Man” in these extremely early days of his career, oddly carrying around a prop sledgehammer during his walkouts, and not an actual reference to the Sylvester Stallone movie, which is a shame. This was also Overeem at his lightest; he was competing at was then known as the middleweight division of 205-pounds, which would develop into the light heavyweight division following the UFC’s development of the weight class change. He compiled a record of 10-3 before being invited to join the infamous and glorious organization PRIDE FC. The Demolition Man made his PRIDE FC debut with a thunderous KO of Yusuke Imamura, a devastating knee which he would become famous for, followed by punches to seal the deal. Imamura would continue competing in Japan and would classify these days as a tune-up opponent. Alistair would keep the train rolling with two TKO wins outside the promotion in 2H2H (2 Hot 2 Handle, the weirdly named promotion that served as his in-between big fights pit stop). Before his entry into the 2003 Pride Middleweight Grand Prix at Pride Total Elimination 2003, he would put away current PFL light heavyweight contender Bozigit Ataev, and the Batman cosplayer Mike Bencic each via TKO. The 2003 Pride Middleweight Grand Prix, which was a star-studded affair, featured former UFC Interim heavyweight champion Antonio Rodrigo Nogueira, former light heavyweight UFC champion Chuck Liddell (on loan from the UFC), the great and powerful Fedor Emelianenko, Gary Goodridge, KO artist Mirko Cro Cop Filipovic, former UFC middleweight champion Murilo Bustamante, former UFC heavyweight champion Ricco Rodriguez, former UFC light heavyweight champion Quinton Rampage Jackson, European MMA legend Igor Vovchanchyn, and PRIDE and Japan’s golden boy Kazushi Sakuraba as well as a peak Wanderlei “The Axe Murderer” Silva. Overeem’s participation was extremely brief as he was knocked out via punches by Liddell, who would face “Rampage” in the following round who himself would move on the finals and face Wanderlei in one of their iconic battles. He would rebound in December at Japan’s premier event Inoki Bom-Ba-Ye 2003 – Inoki Festival against Tomohiko Hashimoto, as well another appearance with the 2H2H promotion by way of his signature guillotine. However, Overeem was not done with PRIDE FC, making his return to the promotion against Japanese journeyman Hiromitsu Kanehara, with a thunderous TKO victory. Then, in his very next match, he was outclassed by the twin brother of Brazilian heavyweight legend Antônio Rodrigo Nogueira, the “Minotauro,” Antônio Rogério Nogueira or Little Nog as we affectionately call him. Despite this bump in the road for Overeem, he would face another big name in his follow up during the Middleweight Grand Prix at Total Elimination 2005, where he was matched with former UFC light heavyweight Vitor “The Phenom” Belfort by guillotine submission. His rebound train would continue to roll with another submission win by guillotine (the man loves his guillotines, apparently) against Ukrainian powerhouse Igor Vovchanchyn which propelled him to face off in the semi-finals of the tournament with the eventual winner and last true PRIDE prodigy, Mauricio “Shogun” Rua. He would lose this high profile bout by TKO. Let it be said that during this run with PRIDE FC, that Alistair Overeem did not face any easy opponents. He consistently fought game opponents and many of them can be counted among the elite at various points in their respective careers, as demonstrated by his next fight against Sergei Kharitonov, where we would win by stoppage securing his place in the 2006 Openweight Grand Prix. He was paired with one of his eventual rivals Fabricio Werdum. Werdum would follow Overeem to Strikeforce and the UFC and be found close to each other in the rankings for years to come. Werdum began this rivalry with a submission win via kimura in the second round. This will be short and sweet. In the main event of Strikeforce: Revenge, The Demolition Man, would once again take on Belfort, but this time beat him down over the course of three rounds for a rare decision for Overeem. One month after making his US debut with Strikeforce, Overeem would jump right back on a flight to Japan. This would seem to have been a pretty bad idea as he would be involved in a rematch with Little Nog and entered the fight with a heavily taped up neck. Overeem showed signs of an injury following a few punches from Nogueira after posting a dominant first round. The Reem’s corner threw in the towel to spare their fighter from more damage. In his second run with the Japanese promotion, more pain and suffering would be coming his way. His first true losing streak and to date his longest would be on the horizon. This included stoppage losses to Ricardo Arona (of Rampage Slam fame, sorry Ricardo), and Shogun once more. Following this trio of painful losses, kickboxing promotion K-1 was also holding MMA matches on their cards and a few of them would feature our man, Alistair Overeem. Securing a submission win via Peruvian necktie over Michael Knaap and a knockout loss to Kharitonov, giving the Russian a measure of revenge. Alistair Overeem returned to US soil, and Scott Coker’s Strikeforce, at the intensely named event Four Men Enter, One Man Survives. This also happened to be a contest to decide who would claim the vacant Strikeforce Heavyweight Championship. He faced off with Paul Buentello, the UFC veteran, who he put down via brutal knees to the body. He then returned to Japan to compete at DREAM 4 against Lee Tae-Hyun, with the bout ending via KO in favor of Overeem. Mere days later at DREAM 5, he would face off against fellow heavyweight legend and K-1 Champion Mark “The Super Samoan” Hunt. This clash of elite big man strikers would end on the mats with the Dutchman submitting Hunt via keylock. The next bout of the Ubereem era was another big name, arguably the biggest name coming out of the Japanese fight scene, Mirko Cro Cop Filipovic. Despite a dominant performance, Alistair would receive a No-Contest for repeatedly kneeing the groin of the famed Croatian striking specialist. Sandwiched in between bouts in DREAM, Ubereem would add two more to his list of stoppage victories in the UG promotion against UFC and PRIDE vet Gary Goodridge and Tony Sylvester. His return to DREAM would be a matchup of giants, or rather against a Colossus, James Thompson. Ubereem would choke out the massive Brit via patented guillotine (seriously, the guy loves this choke). At DREAM and K-1’s end of year celebration DYNAMITE 2009, he would have faced off against Andrei Arlovski but instead would end up paired with Kazuyuki Fujita to keep with the DREAM vs. Sengoku theme of the event. Sengoku was the primary rival of DREAM, and both were competing to capture the mantle of Japan’s premier promotion in the Post-PRIDE era. As for the fight, it ended via another crippling knee by the Dutchman. At this point in his career, Overeem was a major star in Japan and Europe and was looking to establish himself in the US while continuing his success in Japan as well as possibly returning to kickboxing. The man was very busy. In what was to be the first defence of the Strikeforce Heavyweight Championship, Overeem stood across from knockout artist Brett Rogers. You may remember Rogers for his troubled past post-MMA, as well as his eventual fight with heavyweight GOAT, Fedor Emelianenko, who Alistair called out immediately after flattening Rogers himself. Allow me to set the scene for you. Alistair Overeem (during his Ubereem days) was widely considered the best (active) heavyweight not among the UFC roster. Fedor was PRIDE’s greatest champion in its marquee division and was a soldier for hire (even if it cost you a princely sum to get him to sign on the dotted line). It could have been the biggest fight in the division’s history outside of the UFC. However, this fight was not meant to be, and Overeem would compete for and win another heavyweight title while in Japan against recently released UFC vet Todd Duffee at the 2010 DYNAMITE event. Despite the physical size and musculature similarities between the two, you couldn’t have paired two fighters with a bigger gap in striking proficiency. Peak Ubereem was on display as he flattened Duffee in just 19 seconds. Strikeforce’s heavyweight division was at its peak in 2011 with several big names filling out its roster. Naturally, they wanted to showcase this with a Grand Prix style tournament. This tournament board featured Overeem alongside former opponents Fabrício Werdum, Sergei Kharitonov, Brett Rogers as well as Josh Barnett, Andrei Arlovski, Antônio “Bigfoot” Silva and of course the biggest draw of them all, Fedor Emelianenko. With such a formidable and star-studded lineup, Strikeforce was betting the house on proving they had the very best heavyweight in the world, both within and outside the UFC (as many of the participants were former UFC or PRIDE Champions). A Grand Prix Heavyweight Championship was on the line and the unofficial title of the best big man. As it would play out, the opening round featured a rematch between Werdum and Overeem. It was a very lackluster match that featured Werdum attempting to bait Alistair from the mat, while on his back. Of course, the fans were not thrilled. The champ would come out on the winning end of the decision. Unfortunately, Overeem would not advance to the next round, because reasons. This event took place during Overeem Golden Glory days (his management team and camp). Overeem claimed that he could not face off against Big Foot Silva, due to timing and needing to recover from his most recent bout. In truth, there was a falling out with Strikeforce and Golden Glory and new owners of Strikeforce Zuffa. This ultimately led to the departure of all the Golden Glory athletes from Strikeforce. It wasn’t all bad, though, because a big opportunity was heading Overeem’s way. Finally, we’ve arrived at Overeem’s arrival at the biggest stage of the sport, the UFC. After years of questions and musings about The Reem’s caliber and credibility as an elite heavyweight, we would finally get the opportunity to find out exactly where he stood. He was booked to face off with the former champion, WWE superstar and pay-per-view draw, Brock Lesnar at UFC 141 in December 2011. The lead up to the fight was very confusing, stemming from both fighters being tested for performance-enhancing substances during their out-of-competition periods by the Nevada State Athletic Commission. 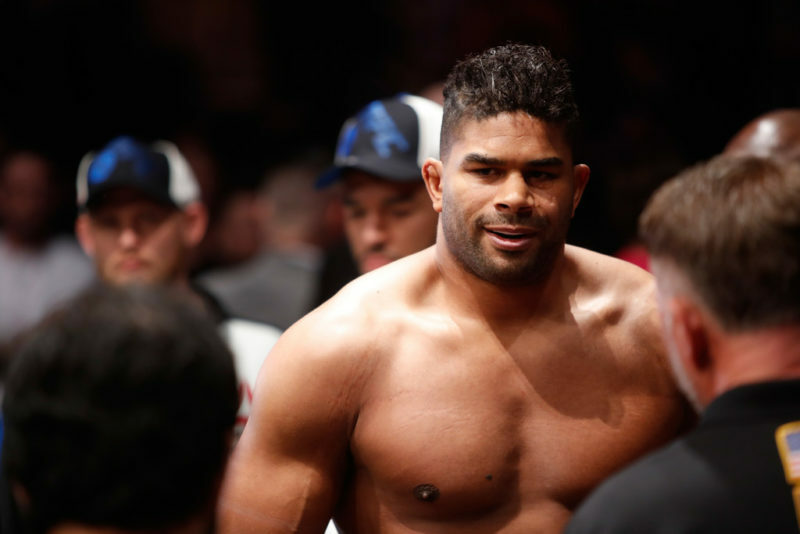 Overeem experienced many setbacks with his sample with it being deemed unacceptable several times and the commission having to resort to providing him with a provisional license for this particular booking. From a strictly aesthetic point of view, this was one of the biggest fights in UFC history. Both men are massive and muscular even among the other heavyweight athletes. It was also a very traditional mixed martial arts fight in concept, with both of them representing two different styles, with The Reem being the outstanding striker and Lesnar, the accomplished wrestler. It played out very quickly with Overeem punishing Brock with knees to his already damaged organs followed by a liver kick and punches to seal the deal in the first round of the contest. This demolishment won Overeem a golden opportunity to contend for the UFC Heavyweight Championship against Junior Dos Santos, another famed striker. However, this was not meant to be, as The Reem failed his pre-fight drug test with an elevated testosterone ratio of 14-to-1 rather than the allowed ratio of 6-to-1. That is a ridiculously high and not naturally achievable ratio. Needless to say, he was removed from the bout and was replaced by former champ Frank Mir. He would be suspended until 2012, and would not reemerge until 2013. Overeem would return to the Octagon to finally have that fight with “Big Foot” Silva that never happened in the Strikeforce Heavyweight Grand Prix at UFC 156. In the lead up to fight night, Alistair seemed to believe that Big Foot had no business competing with him. Funny enough, he would almost prove this to be true, as he dominated the first two rounds before Big Foot would shut his lights off with a thunderous KO in the third. 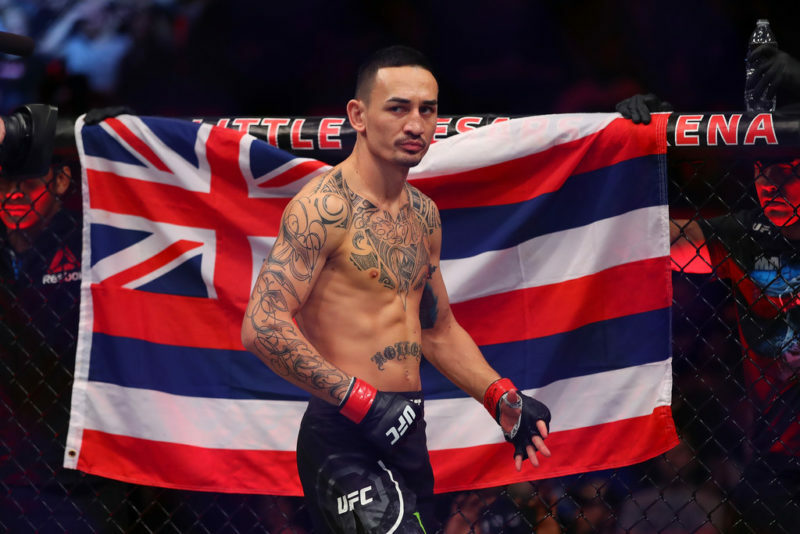 Following his first loss in the UFC, albeit in his second fight, he would hope to rebound in his next outing against Travis Browne at UFC Fight Night 26. Unfortunately, this one wouldn’t be his glorious return either, as he was stopped after a rally back by Browne. As it turns out, during this period Overeem had a substantially lower T/E ratio than what was expected. This gave credence to his doubters about his pre-UFC performances. It would not be until 2014 at UFC 169 for him to return to the win column. He defeated Mir by unanimous decision and called out Brock Lesnar in his post-fight interview. However, he was starched by “Big” Ben Rothwell, of IFL fame, in his next outing at UFC Fight Night 50. Up until this particular chapter of Overeem’s mixed martial arts career, his UFC tenure had not exactly been stellar, and he seemed like a bust. Overeem was arguably in the running for one of the biggest busts in UFC history. But he would soon go on a bit of tear, a tear big enough to earn him a shot at the championship he had never quite made good on. His win streak included a knockout of Stefan Struve, a unanimous decision over Roy “Big Country” Nelson, the eventual matchup with Dos Santos, who he finished by technical knockout, and once again Andrei Arlovksi, also by knockout. This first chance at UFC gold came against Stipe Miocic at UFC 203, who is widely considered to be the greatest UFC heavyweight of the modern era. While Alistair was playing it cool while searching for the knockout, he would find himself on the wrong end of a knockout at the end of the first round! Following his unsuccessful title shot, Overeem would rebound and put together a two-fight win streak against his former foes, Hunt and Werdum respectively. 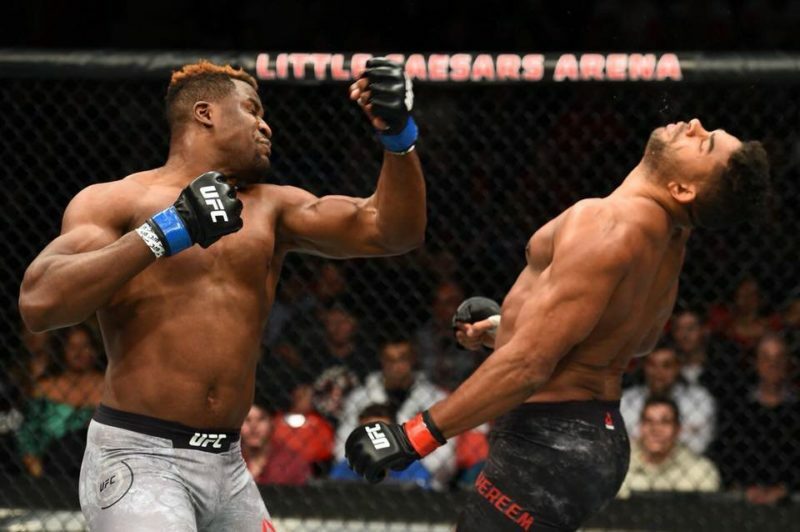 What momentum he gained from these wins would quickly be deflated against the up-and-coming talent of the division with a vicious and highlight-worthy knockout defeats to Francis Ngannou (a win that propelled Ngannou to superstardom) and Curtis Blaydes also by spectacular knock out. Overeem and his struggling chin have gained a small measure of redemption recently against Sergei Pavlovich, who is a definite step back in regards to ranking and profile. This victory came just as he fought in the co-main event slot underneath two fighters he has recently been defeated by, Ngannou and Blaydes. After a long and sometimes frustrating career, what is next for the man of many names? 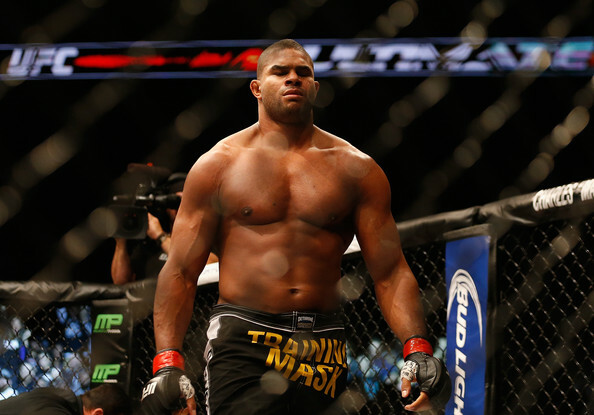 Will Overeem continue to rebuild or have we seen the last glimpses of greatness?